Eosinophilic esophagitis (EE or EoE) is a chronic disorder of the digestive system in which large numbers of a particular type of white blood cell called eosinophils are present in the esophagus. Eosinophilic gastroenteritis is a rare digestive disease characterized by the triad of eosinophilic infiltration of segments of the gastrointestinal tract, abnormalities of gastrointestinal function. 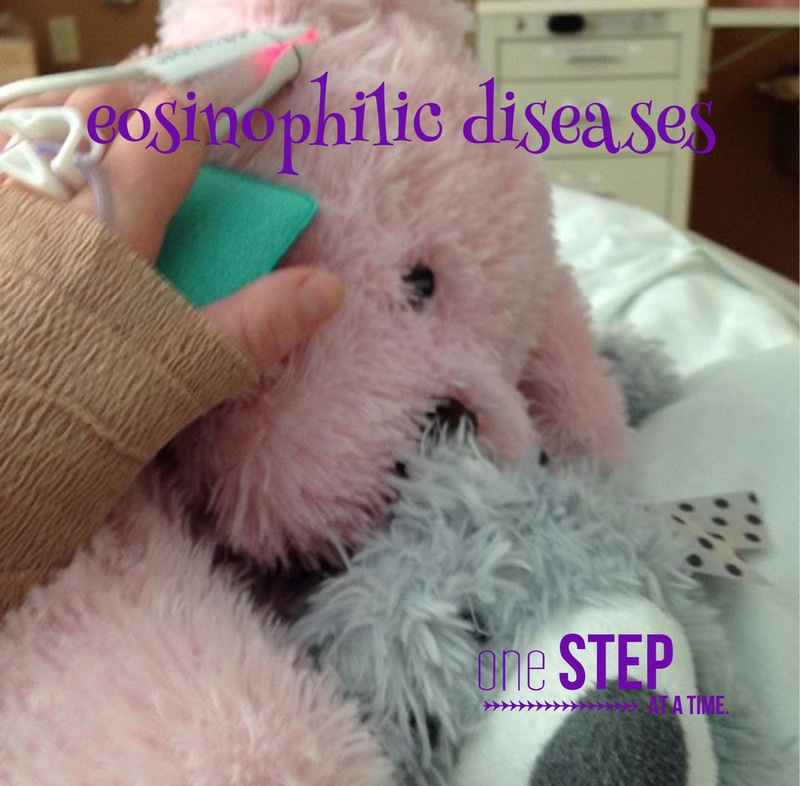 Eosinophils are an important part of the immune system and play a role in immune regulation and fighting certain infection. If you want to learn more about EG disease the rare disease website here (https://rarediseases.org/rare-diseases/eosinophilic-gastroenteritis/ ) is very helpful on this! More about EE disease the rare disease website here (http://rarediseases.org/rare-diseases/eosinophilic-esophagitis/ ) is very helpful on this!